Image: Matt Baron/Shutterstock. Design: Ashley Britton/SheKnows. 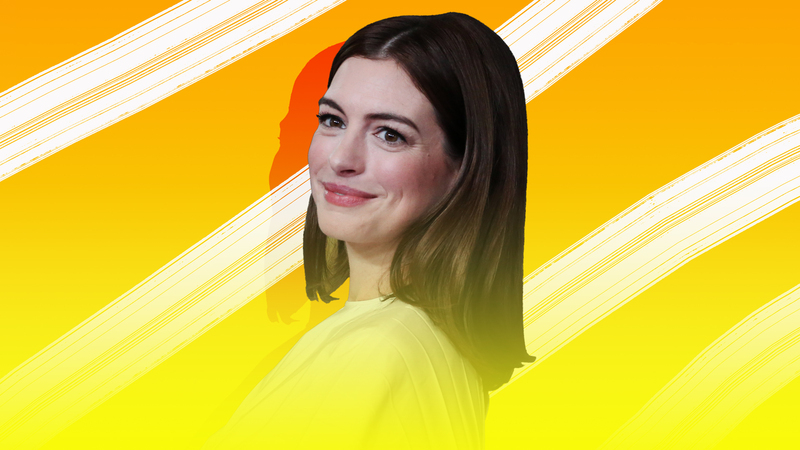 In October 2018, one of our favorite actors made a major parenting choice: Anne Hathaway decided to spend 18 years sober. She revealed this epiphany on The Ellen DeGeneres Show, where she mesmerized Ellen with a story about how she spent a colorful evening touring rum bars with her then-co-star Matthew McConaughey and his wife, Camila Alves. The details of that night, she revealed to Ellen, she doesn’t remember. Like, at all. The day following her rum-filled evening of adventure, however, Hathaway sat through a meeting with her director while she battled the waves of a hangover. That was when she made a pretty monumental choice. Girl was going stone-cold sober — in order to be a better parent (and, perhaps, a better person). For 18 years. Her announcement to the world that she would parent sober sent shock waves through the mom world and many applauded her bold move to a more honest approach to parenting. But said move, impressive and wholesome as it may sound, had me wondering: Is being a sober mom actually better than being a mom who drinks? Let’s face it: We live in a time of “mommy needs wine” culture, when mothers are told to drink wine in order to relax, so much so that drinking (wine in particular) has weirdly become almost synonymous with motherhood. Sure, we’ve all seen the wine-o-clock memes on social media, and yes, there really is something kind of nice about relaxing into a glass of merlot after the kids go to bed. But has parenting culture really reached a point in which moms who drink — even a little — are now irresponsible? So, sure, alcohol — particularly daily use — may affect your ability to be fully present with your children. But for parents who don’t drink that much — and probably not even around their kids — should anyone be telling them that joining the growing movement toward sober parenting is really necessary? As a mother of three kids with a very busy lifestyle, I can totally understand the impulse to want to make sure that every moment I spend with my kids is wholesome and meaningful. Any parent wants that, of course. But I personally don’t think it’s wise to finger-wag at parents for choosing to have an occasional drink. That said, there are millions of men and women in this country who are problem drinkers or who have diagnosed addiction issues; according to Project Know, approximately 14 million American adults have a diagnosed alcohol abuse problem, which translates to roughly 1 in 13 adults — and those are just the folks who have been identified. For them and likely many others, sober parenting may indeed be the best bet. LaPierre goes on to explain that parents who drink in order to cope are a bit hypocritical. Because what are those parents really telling their kids when, on the one hand, they expect kids to learn how to self-regulate their own emotions — but on the other hand the parents themselves are drinking to escape? Furthermore, LaPierre adds, some parents are setting a dangerous and unfair precedent for when Mom or Dad are hungover. “If mom is ‘not feeling well’,” LaPierre points out, “children are taught that they should indulge and be kind to a person who is experiencing the natural consequences of drinking.” Eek. While serious alcohol addiction is not to be taken lightly, there is an argument to made for the hype surrounding the current movement toward sober parenting. But as La Pierre notes, “Anne [Hathaway] is choosing to promote the physiological, psychological, and social well-being of herself and her family by abstaining from alcohol, and modeling optimal choices for her family.” And that might actually be the best approach after all. In the end, the choice to drink or not to drink is deeply personal. Not all parents find the wine jokes funny or think it’s appropriate to crack open a beer in the afternoon; similarly, there are parents who joke about whether it’s cool to start drinking at 10 am. The bottom line? All parents have a legal and moral responsibility to keep their children safe and well — and for moms like Anne Hathaway, if that means giving up booze, more power to them.